Winging it this Mother’s Day? Don’t fret. Great Mother of Pearl, the big weekend is here and you’ve made no plans for your mama. Since many dutiful daughters and sons, and doting husbands, made Mother’s Day reservations weeks ago (ahem), and most restaurants are booked, you’ll need to be creative. But don’t worry, we’ve got your back. Here are some unique and fun last-minute ideas to show Mom you’ve got it covered. Birds of a feather flock together, and bird-loving mothers will want to head for Parker River National Wildlife Refuge on Plum Island. Walk, bike, or drive to the tip of the refuge to the Sandy Point State Reservation, where you’ll find a stunner of a coastal beach and spy migrating birds along the way. Fee is $5 per car(www.fws.gov/refuge/parker_river/). marthasislandcafe.com). Later, go for sunset cocktails at popular Plum Island Grille with a front-row view of the sun as it curtsies behind the marsh (www.plumislandgrille.com). The mom in your life is all about baseball. But much to her dismay, the Red Sox are out of town on this special day. Time to pinch hit and bring in a reliever: Take mom to Fenway for a tour of the ballpark, offered every hour from 9 a.m. to 5 p.m. And because Major League Baseball loves its moms, the Red Sox will also host their annual Mother’s Day walk in the park from 11 a.m.-1 p.m., inviting families to stroll around Fenway’s warning track to see the left-field scoreboard, dugouts, and bullpens up close (www.redsox.com). 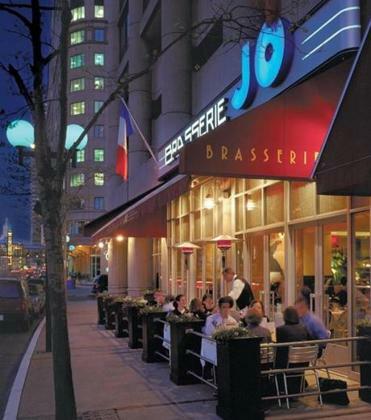 Tell Mom to accessorize with a scarf and treat her to a late dinner at Brasserie JO, a French-inspired bistro in Boston’s Colonnade Hotel with a menu that channels Paris (think foie gras mousse, escargot, salad Nicoise). Bonus: Brasserie JO serves until 1 a.m. in the bar, so you have plenty of time to save the day (www.brasseriejo.com). So, you’ve decided to escape with Mom on a last-minute overnight getaway. But doggone it, what about Fido? It’s too late to make kennel arrangements. Don’t whimper. Pack up the dog and hit the road for an overnight at Inn by the Sea in Portland, Maine. Treat Mom to a massage in the spa. And treat her best friend (or yours) to in-room dog massages, canine turndown treats, and doggie room service (www.innbythesea.com). Most mothers play virtual tug of war game all week with kids who don’t want to clean their rooms, eat their veggies, do their homework — and moms often come out on the losing end. 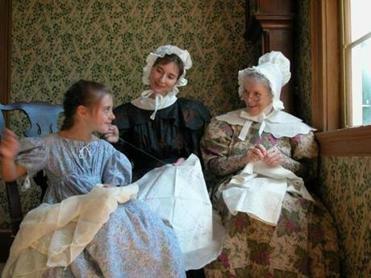 On Sunday, Mom can beat the kids in a real tug of war contest at a Sturbridge Village Mother’s Day celebration. There’s also a tour of the gardens with a focus on medicinal plants used by mothers in the 19th century, and a Mother’s Day brunch in the Oliver Wright Tavern. 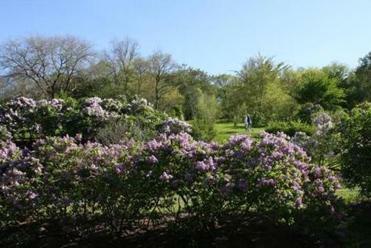 Bonus: Free admission to the village for Mom (www.osv.org.). If the weather cooperates, throw the bikes in the car and head for the 22-mile Cape Cod Bike & Rail Trail (you can also rent bikes on the Cape). You’ll cruise past picturesque cranberry bogs, forests, and ponds, and can stop along the way for lunch at Ocean Edge Resort & Golf Club in Brewster (www.oceanedge.com). 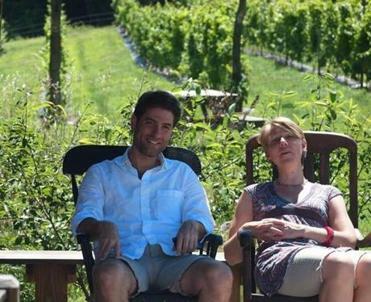 Take your wine-loving mom on a tour and tasting at Black Birch Vineyard in Southampton. 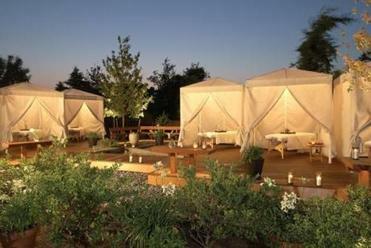 Pack a picnic of favorite foods to enjoy in the vineyard with intoxicating views of Mount Tom in the distance. Cost: $7 per person (www.blackbirchvineyard.com). 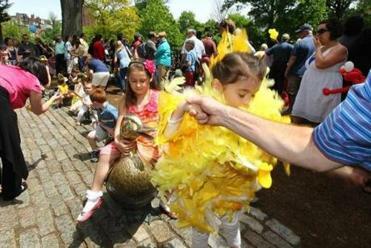 A fun Mother’s Day tradition for more than 20 years in the Boston Public Garden, Duckling Day celebrates Robert McCloskey’s “Make Way for Ducklings” with an annual parade led by the Harvard Marching Band. Expect face painters, magicians, and puppets, a dramatic reading from the book — even Mayor Martin J. Walsh ducks in for an appearance. Bonus: This year, the Mother Goose in your family can get a free massage. Cost: $40 per family, and kids get a Duckling Day goodie bag(www.friendsofthepublicgarden.org/). Later, take Mom on a Duck Tour through the streets of Boston and, ultimately, a splashdown into the Charles River (www.bostonducktours.com). Mother’s Day has been celebrated on the North Shore at Woodman’s of Essex for a century. 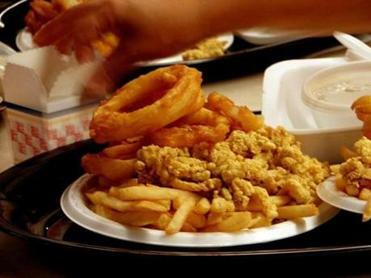 They don’t take reservations, so expect long lines at the casual, friendly restaurant that turns 100 this year — and also expect huge portions of fried clams and other goodies (www.woodmans.com). If the mom in your life is always begging the family to play board games, head for a casual afternoon at Mass Ave Tavern in Boston’s Back Bay, where she’ll be giddy to find an entire wall stacked with everything from Scrabble to Battleship. And for the mother who lovingly makes you pancakes for breakfast on weekends, treat her to the all-you-can-eat Uncle Buck Pancake Challenge here. (www.massavetavern.com). 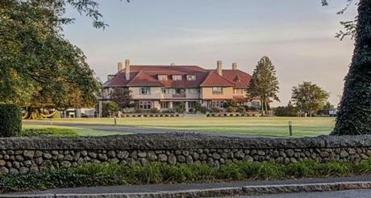 Take the grande dame of your family to the Cape’s grande dame, Chatham Bars Inn. The elegant resort turns 100 this year and is home to an award-winning spa. Indulge Mom with the signature Tides Massage, a 60-minute treatment incorporating warm stones and sea shells and finished off with a face massage using smoothed beach shells. Cost: $145. Bonus: Full use of the spa pool, sauna, and spa facilities (www.chathambarsinn.com).